I made a number of versions of it before settling on this particular design, which I'll also try to photograph and post as a follow-up. This isn't all of them, as I had to make enough bars to participate in the soap swap. Can you figure out how I made it? If you guessed that it's a layered and shaped soap sculpture, then you're right! 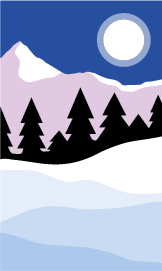 On the left is the design I made in Adobe Illustrator, and on the right is the area of soap required to make each layer. Pretty nuts, no? Yes. I cut out cardboard shapers using my Silhouette Cameo, spent way too many hours calculating everything (you should see my spreadsheets! ), and played hooky from work one day to make it. Above are the shapers, and how they look stacked together on the right. I only remember to take pictures at the very beginning and the very end, so all I can share is the shapers and the colors laid out. All from TKB Trading, which I adore. So why to I use it? Mostly because I don't have the patience to wait longer than 4 hours before unmolding, but also because it adds hardness. This was quite a journey -- at least five previous designs, plus fragrance and color tests to figure out what would work -- but I'm happy with the results, so it was worth it. Wow wow wow... just WOW! Killed it! You deserve an award for just being the master mind behind that whole process. Wow - that is a work of art not soap!!!! Your entries are always special. I admire your work. UNBELIEVABLE, Claudia!!! I don't know how you manage to top ANY of your past masterpieces but you absolutely did with this one! I would love to see this as an upcoming tutorial, Amy! Please, please, please! Stupendous job, Claudia! I've had a few comments from soap newbies saying they can't imagine being able to do something like this. Please don't be intimidated, or think you can't do it -- I'm a newbie, too! Yes. I am not sure how you did this either and would love to learn. Claudia, yes, that is just shockingly precise and beautiful - especially for being soap! It's pretty amazing looking, and it would be great fun to see your process, definitely!! Oh Claudia, how terribly precise and amazing this is. Calculating out how to recreate the design using cutouts from your Silhouette was pretty brilliant. The design is amazing to begin with, and the execution is beyond perfect. Wow! Whoa! This soap is gorgeous! I don't really even know what to say. 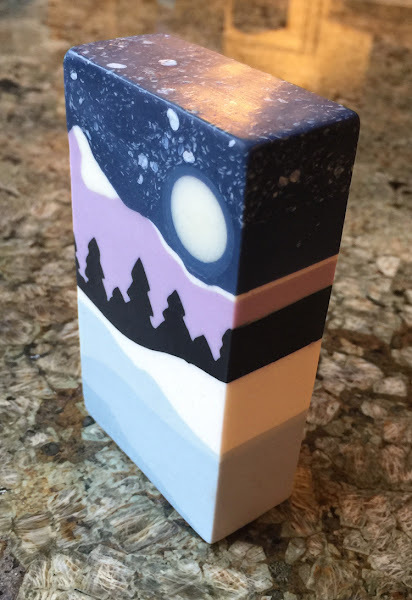 I want to make soap like this :) Great job! Claudia. This is absolutely stunning. I am in awe. I would be more than honored to learn how to make this design. 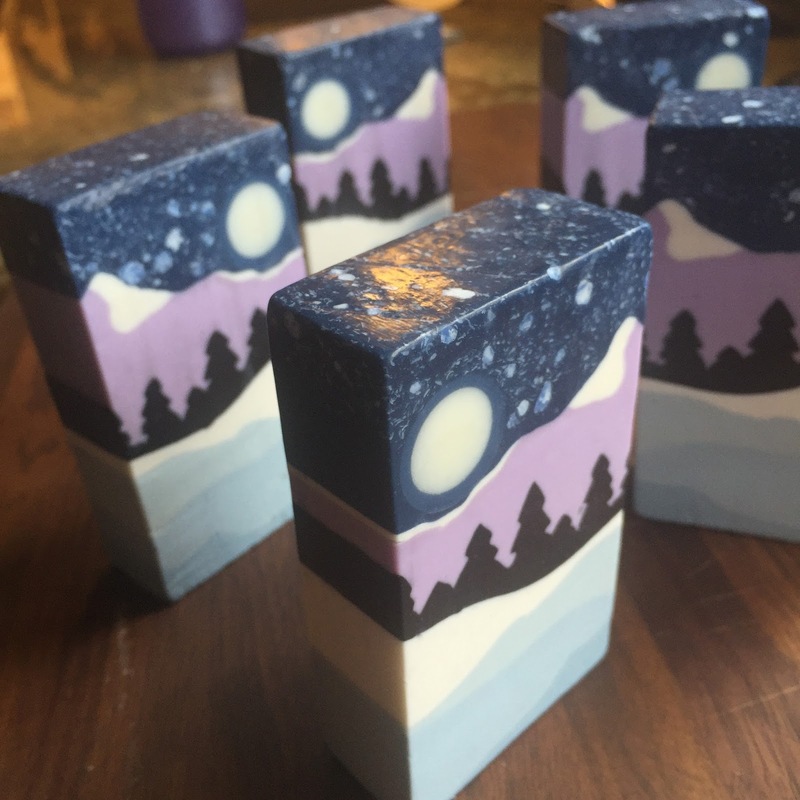 Looking forward to see more soap designs. Did you pull the shapers through the batter? I assume that's how your forms work. At what trace was the soap when you pulled the trees? They came out so well and kept their form. Or did you use the forms as a guide for a wire cutter, like a jewelers tool, to trace the shape? Well done! Instead of pictures why not just film the process? You can edit out anything you don't like. I've watched several of these type of soaps be made. They are always so much fun to watch the creation process! I'm more of an "in the pot swirl" kind of soaper and most of my soaps are boring but great for the skin! :) I'd watch for sure but no way would I attempt anything so precise! Looks painstaking! LOL! Congratulations on your soap challenge win by the way. I can't not congratulate you for the win! Even if this soap shouldn't have been allowed to be an entry ;) It's the Mecca of soaping world, it should have been placed on the pedestal and have the other creations bow to it. I had to bookmark your page just so I can keep coming back and look at it. Helka, yes -- that's exactly how I did it. I let the batter thicken until just the right stage, then dragged the shapes through it. For an upcoming challenge, I will film it and teach you all what I've learned! Please, please do. I am not only super impressed with the actual soap but even more that you have the brains to even come up with this technique!! Keep the genius ideas coming!! Wow, wow, wow, pure genius! Absolutely beautiful soap and mind boggling technique. I would like to learn it, too. They said it all before, but never mind, I will repeat it: this soap of yours is absolutely incredible! A pure marvel deserving to be in a museum. It is gorgeous. Ans so smooth and shiny! You have been so patient. I am glad your hard work is appreciated. I would love to learn how you did it, though I would certainly not be able to do anything so minute. I bow you your craftsmanship! Beautiful! Well done. Congrats on your win! Would love to know how you did this. Cannot wait until your tutorial! This is just insanely beautiful! I must know how you do this technique!! Please do a tutorial! I'd pay to learn this! Thank you! If you want to learn this technique, I will be teaching for Amy Warden's Challenge Club in June: http://soapchallengeclub.com/. They look superamazing! I would love to know how you made them! Is there any chance of online learning? Thanks for your reply! Yes, just go to http://soapchallengeclub.com/ and sign up for this month's challenge. I'm guest-teaching it. This is truly beautiful! 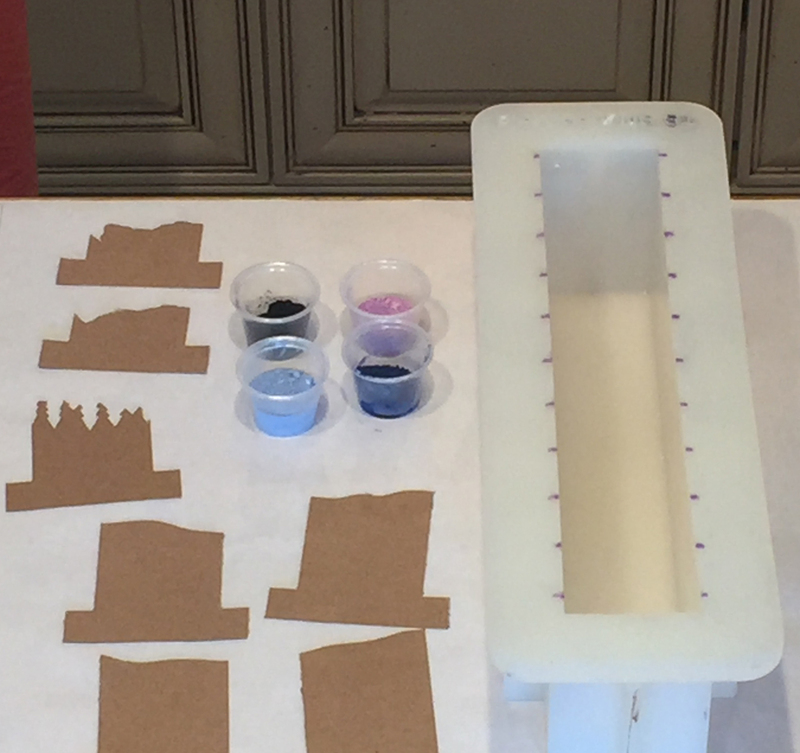 I studied this blog posting for hours to create my Hogwarts soap! You can check it out at californicasoapco.wixsite.com/casoap if you'd like. Thanks so much for the inspiration for this really neat technique!